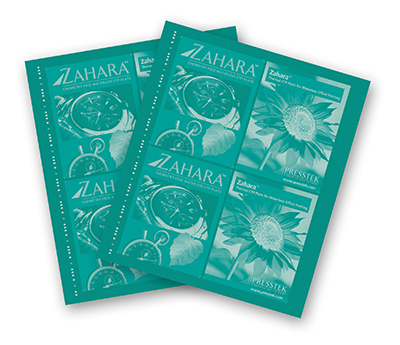 Zahara plates raise the efficiency and productivity of your prepress operation by eliminating processing variables, reducing material and labor costs, streamlining workflow, and increasing consistency and quality. No preheating, chemical processing, gumming or baking is required. Once imaged, a simple cleaning with water makes the plates ready to print! Zahara integrates easily into your existing operation. Read the testimonial below to see how!